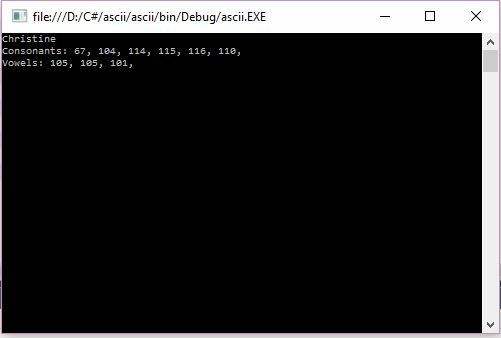 Problem: Create a program to give the ascii code of your inputted word. Separate the consonants and vowel letters. C# - Bday year, Add, Subtraction etc.